Have I ever told you how Heartprints of God came to be? One day, way back in February of 2009, I got a phone call from my sister, Laura. Randomly, out of the blue, she shared, "Hey, guess what I did today. I started a blog." "Yeah, a blog - and you should, too. You love to write. You need to start a blog." And so, after much, MUCH, much prayer and much, MUCH, much encouragement from my sister and much, MUCH, MUCH, MUCH prodding from the Holy Spirit, Heartprints of God was born. Today, I would like to introduce you to my sister and her fabulous blog, Inspiration for Moms. As you will soon discover, my sister is amazing. From DYI projects like building a bed for her son or redecorating her laundry room, to decorating for fall, to sharing wonderful recipes, to loads of inspiration and motivation, to . . . , you name it, you'll find in on her blog. And today, because she loves Fall (don't we all?) Laura is having a Fall giveaway and invited me and some of her favorite blogging friends to hop on board. 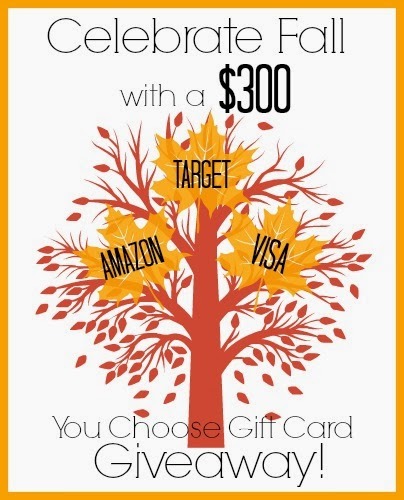 Celebrating Fall, letting you in on one of the best kept secrets out there - Inspirations for Moms, and a chance for one of my readers to win a $300 gift card of their choice - Target, Amazon or Visa , sounded too good to pass up. To enter, all you have to do is follow the instructions on the rafflecopter below. 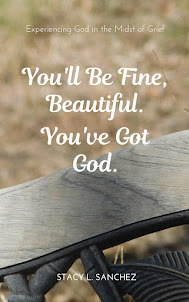 If you subscribe to Heartprints of God or follow me on Facebook or Pinterest, you already have entries waiting for you, so be sure and enter. If you don't, no worries. Just follow the instructions on the rafflecopter and it will walk you through the steps to sign up and get entered in this fabulous giveaway. Plus, in addition to Inspirations for Moms, you might just happen upon other blogs that will inspire you, too.